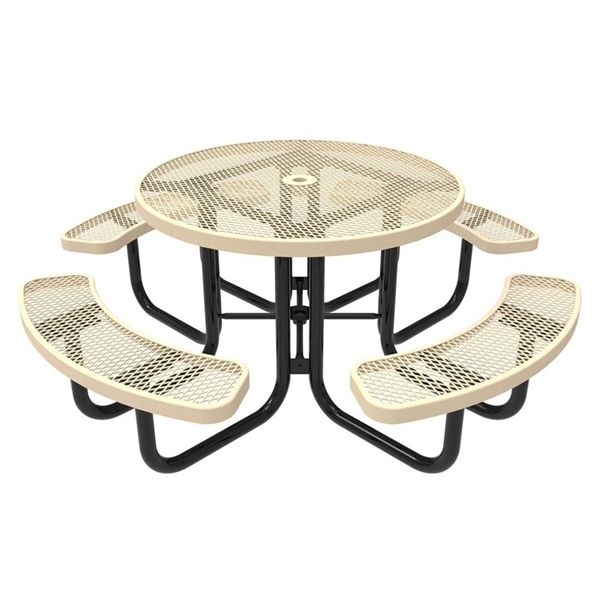 Crafted from the industry's best materials, our 46" RHINO Round Thermoplastic Picnic Table is a great option for venues nationwide. 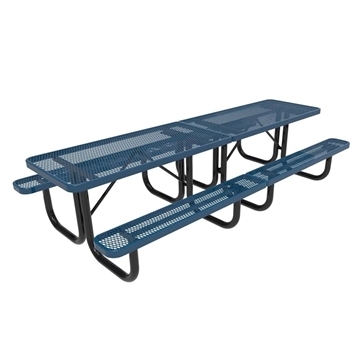 Our proprietary RHINO polyolefin thermoplastic is used on the the tabletop and seats for increased resistance to weathering such as mold, mildew, rust, salt and fade. 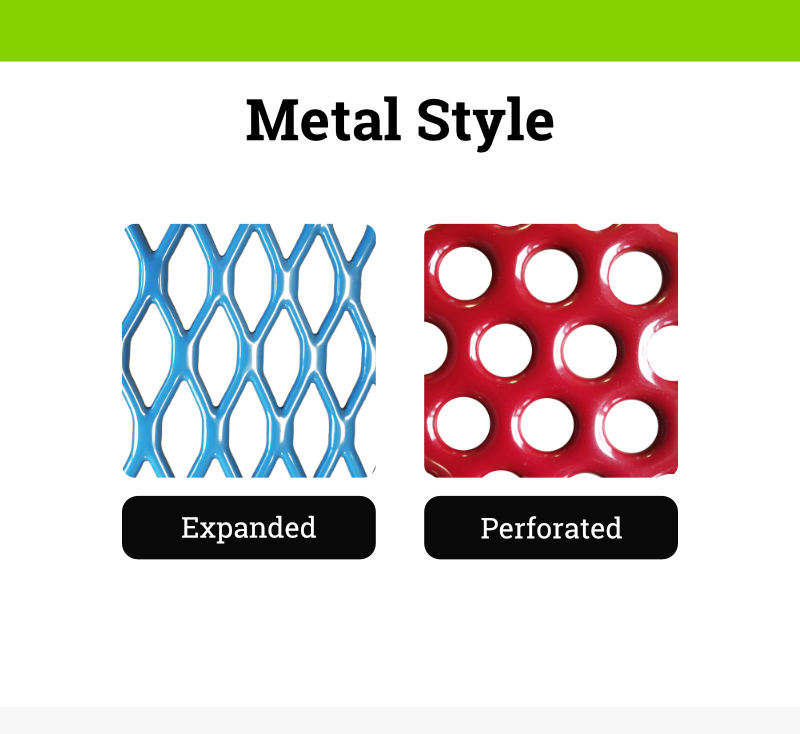 This coating has been tested in extreme conditions for hundreds of hours, ensuring longevity found no where else in the thermoplastic industry. 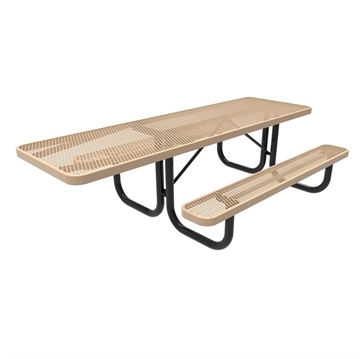 For stability a rugged 2 3/8" powder-coated steel tubed frame is used to support both the tabletop/seats and patron. 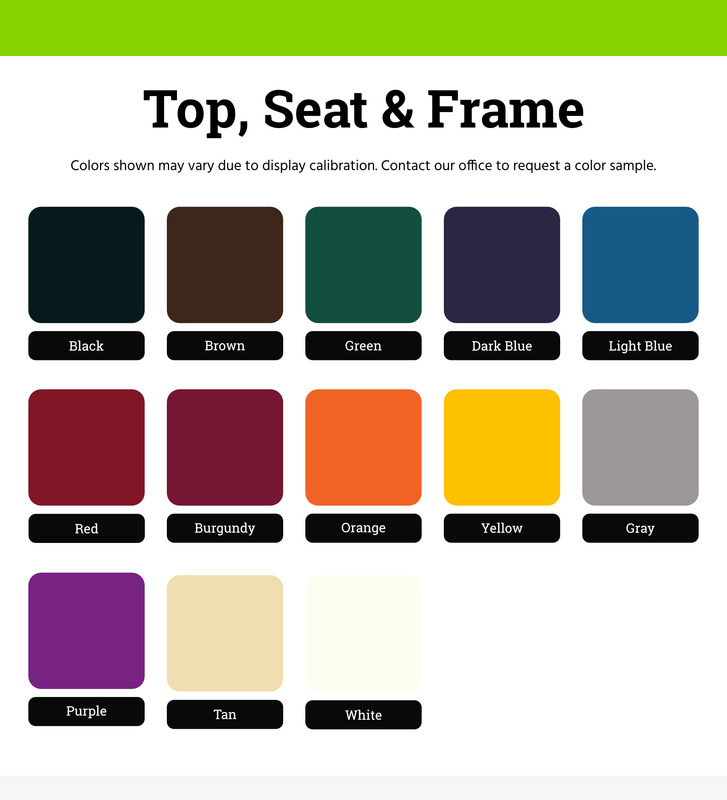 Choose from a great selection of color options to best match your venues visual needs. All RHINO products are sourced from and manufactured in the USA. Upon purchase this product will come with a extended 7-year warranty, 2-years over many of our competitors. • 46" x 46" x 30" - 244 lbs.